Archaeology of dogs: Were they first domesticated in the Middle East? They say the only animal to commit suicide is Homo sapiens, since that whole thing about lemmings casting themselves off cliffs en masse is hooey. But it turns out there are multiple species of ants who live peacefully in Southeast Asian treetops, unless something threatens their colony. Then they blow themselves up. Until recently, science had failed to distinguish between several of these species. 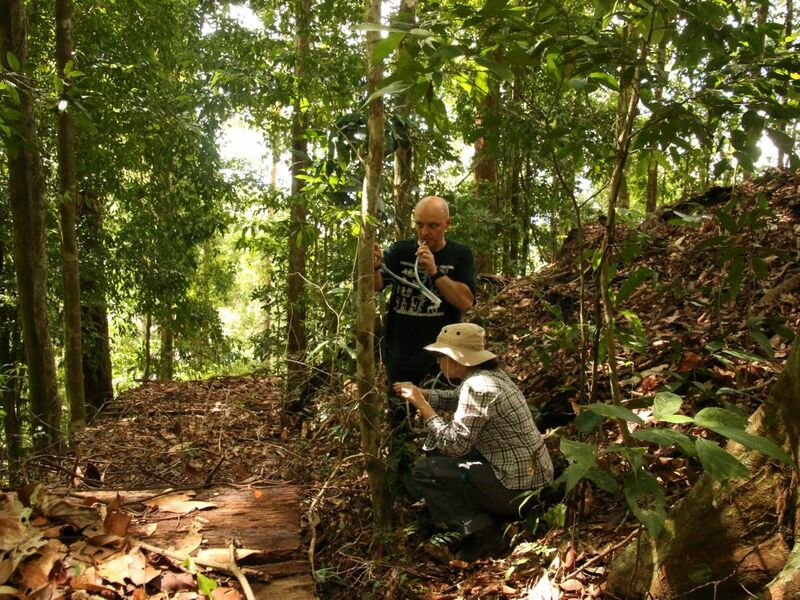 Now a new study headed by Dr. Alice Laciny of the Vienna Natural Museum has not only contributed to that, but identified a particularly dedicated member of the tribe in the forest canopies of Borneo, Thailand and Malaysia. In fact these ants were described as early as 1798, though early entomologists didn’t realize they would commit explosive suicide when provoked. Their kamikaze bent has been known for a century after being discovered in the middle of World War I. "The exploding behavior was first observed in 1916 by German entomologist Hugo Viehmeyer (apparently a war was not enough to distract him from his research)," Laciny tells Haaretz. Subsequent work described them in 1935 but it is only now that science has realized just how many types of "autothytic" – self-detonating – ants there are . 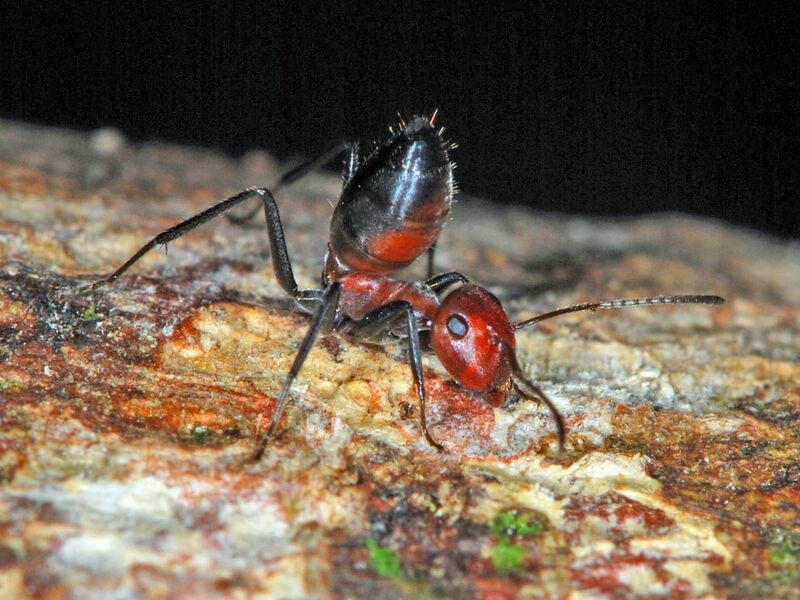 The interdisciplinary research team with entomologists, botanists, microbiologists, and chemists hailing from Austria, Thailand and Brunei reports in ZooKeys that there are what they call roughly 15 different species of exploding ants – one previously unknown. Why "roughly" 15? "There are now 17 species, subspecies and variations officially described (not counting our own), but some are certainly not valid according to modern standards, which is why a revision of the group is planned in our project," Laciny explains. "Many ants of this group are only known by their nicknames (like “Yellow Goo”) based on morphological characters easily visible in the field, but have not been formally described yet, so we cannot say whether they are all valid species or whether some of them are already known to science by another name." These ants are believed to mainly eat biofilms, by the way: mats made by bacteria, fungal spores and the like. In fact, the newly discovered species not only blows itself up, but does so with verve, earning itself the soubriquet of "model species." That's because the aptly named Colobopsis explodens is "particularly prone to self-sacrifice when threatened by enemy arthropods, as well as intruding researchers." Being more extreme in its aberrant behavior than its sister species, it will be a sort of entomological benchmark in future studies on exploding ants. Which are pretty much inevitable. Before its specific identification as a new species, entomologists had dubbed the creature "Yellow Goo" because of its buttercup-colored glandular secretion. That goo consists of toxins and sticky chemicals, creating a glue that is lethal for other bugs – though larger beings, such as researchers, are not affected by it. "The 'explosion', really just a ripping of the ant’s body from internal pressure created by large glands, is barely felt by humans – only as a small 'pop' and the result is a sticky, slightly smelly drop of yellow liquid and a dead ant," Laciny reassures. Yes, blowing up their own torso and spraying poisonous glue kills the ants. It isn't a strategy designed for every sort, nor is it designed for every situation. They only use this characteristic in self-defense, not aggression, she says. Also, earlier work has found that the ants won't just blow themselves up for any intruder. They won't bother for small ones, for instance. But if a big bug approaches the colony, let alone gets into it – there goes their torso, ruptured using their abdominal muscles to squeeze out that goo. Not only is the goo toxic: it permanently binds their corpse to the unhappy attacker, which, at the very least, is deterred. It isn't the whole species that rip open their torsos to stop evildoers, just the "minor workers" do so, explain the scientists. The other castes – major workers, males and the queen - have defensive marvels of their own. The major workers (also called "doorkeepers") have stumpy legs and big, plug-shaped heads they use to physically barricade the nest entrances against intruders. The doorkeepers cannot blow themselves to bits.